The terrible events that unfolded last night and throughout today in Sydney are heartbreaking. My thoughts are with those affected all over the world. Faith in humanity has been restored by the wonderful social media #Illridewithyou campaign. Thousands of people have now joined, showing solidarity in a time of tragedy. I didn’t know it until late last night, but yesterday was the two year anniversary of the devastating events at Sandy Hook Elementary School, where 20 children and 6 adult staff members were shot and killed. I cannot begin to imagine what the parents of those children (and adults) have gone through, and are still going through to this day. The school is less than an hour and a half from where we live in NYC, and I have to admit, it’s one of the things that worries me about bringing up my son in the USA. The truly devastating fact is, since Sandy Hook, there have been nearly 100 more school shootings. 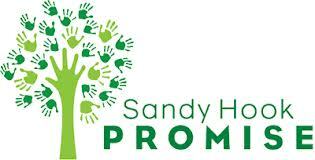 So last night I added my name to the Standing with Sandy Hook Promise, and today, for my one good thing, I have made a donation to the Sandy Hook Promise Foundation. Led by family members whose loved ones were killed in the tragic mass shooting, the foundation aims to protect children from gun violence so that no other parent experiences the loss of their child. There was no official public memorial yesterday, but instead residents of Newtown, Connecticut asked people to perform acts of kindness to help promote good in the world and honor the 26 victims. What a wonderful idea – another way of promoting good in the most unbelievably tragic circumstances. Find the full story here.